Paul Neary plans ahead. 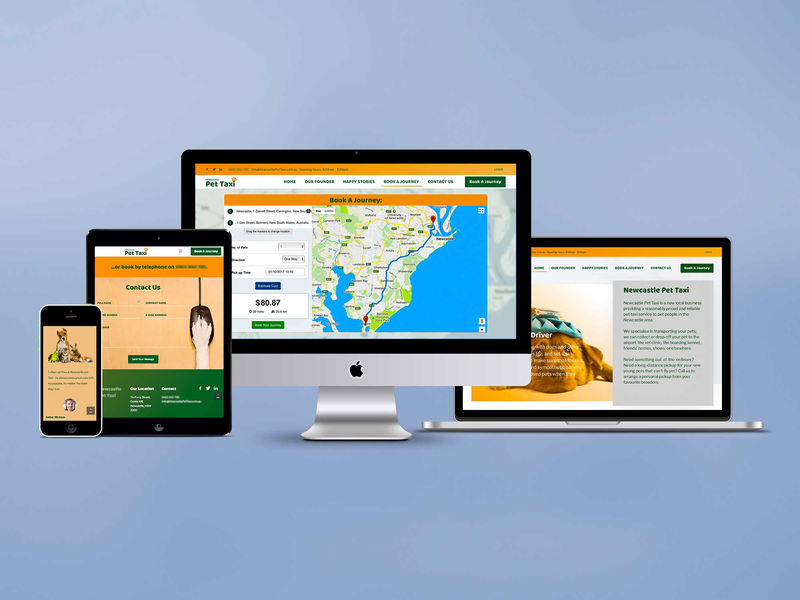 When he decided to set up a new business in 2018, he contacted us almost a year before to make sure that he’d have his infrastructure set up well in advance. 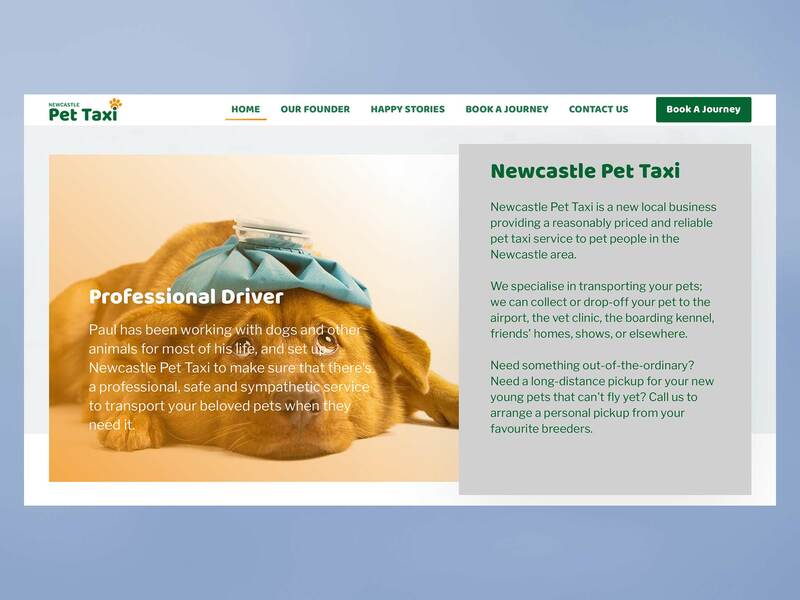 From our side that meant a website design incorporating a customised taxi booking system for his new business, Newcastle Pet Taxi. 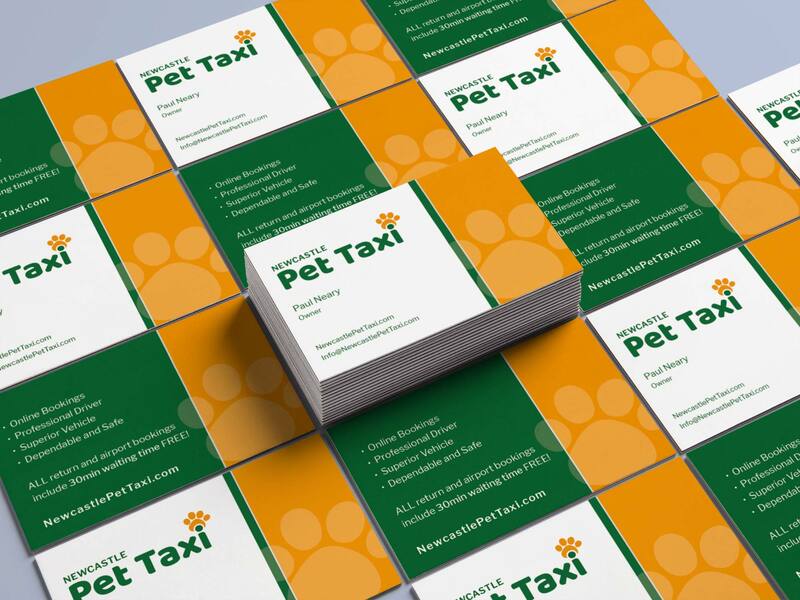 Of course, as usual with our customers they come for one thing and leave with much more – in Paul’s case we also took over some of the graphic design – logo design in particular, then business cards. 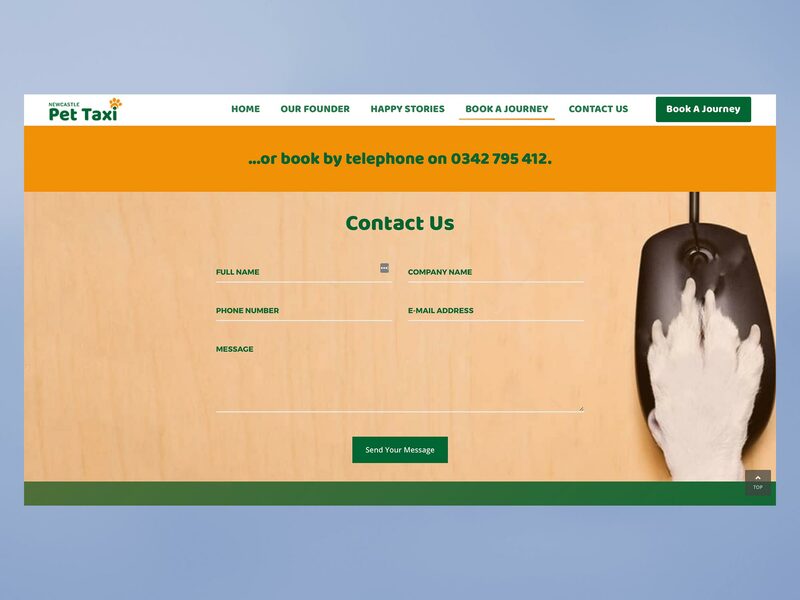 Although Paul had originally expected a simple traditional 2- or 3- page website design, we showed him how the information could translate to a single-page design, making it all more easily and quickly accessible to the user. We also showed him how we could take all his rates and zone information and tie them together into a simple-to-use online booking system that would estimate the journey costs and take payments in advance. Not only did we build those mapped-out areas street by street for Paul’s different price range zones, we also added in calculations so that Paul could offer free waiting times in certain situations. Like many clients, Paul had started by registering domains and then attempting to build his own site, set up emails and the like, but soon realised that to get professional results he needed to use professionals like BrainVox. We got everything straightened out without too much drama, and along the way got Paul’s various email addresses sorted out too. We jumped in to help him when he needed business cards for his new company. We produced 3 different designs as a starting point for him to choose from then refine as he wanted – in this case though, he was happy with the first version of our favourite design for him. 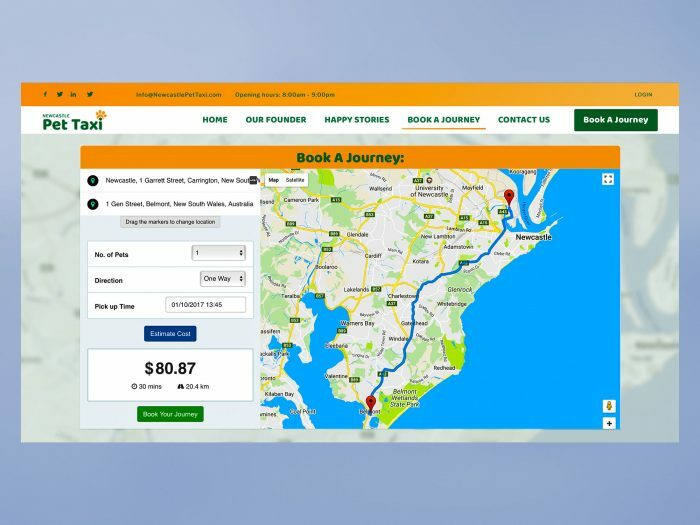 With the website ready to go, we’re just waiting for Paul to return to Australia and launch the business and the website.